השם Foeniculum ניתן לצמח על-ידי הרומאים, והוא נגזר מהמילה הלטינית foenum, שפירושה חציר. שומר נפוץ במטבח הביתי כירק מאכל וכחומר טעם בתעשיית המזון והמשקאות. שומר הינו צמח דו-שנתי או רב-שנתי גבוה. מוצאו באגן הים התיכון ופריחתו נפוצה גם בישראל. טעם: ארומטי, מתקתק, מעט פיקנטי. שמן נדיף (4%-6%; מכיל 60%-80% trans-anethole, 7-20% (+)-fenchone, כ-10% estragole ועוד), פלבונואידים (kaempferol, quercetin, isoquercitrin, rutin), פנולים, מונוטרפנים (limonene, pinene), סטרולים, חומצות אמינו (15-20%), חומצות שומן. תסמונת המעי הרגיש, בעיות ספיגה, עצירות, גזים, כאבי בטן עוויתיים, הנקה - ייצור מועט של חלב. תמצית נוזלית בריכוז 1:3, 45% אלכוהול – 4-12 מ"ל ביום. 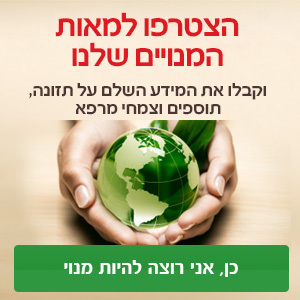 תמצית יבשה – תלוי בריכוז התמצית. שווה ערך ל-1.5-4 גרם צמח ביום. מרתח – 1.5-4 גרם ביום. שמן אתרי– 5-20 טיפות ביום. מוטב לדלל במעט מים. לא ידועות תופעות לוואי הנגרמות מנטילת שומר(3,4). לא ידוע על תופעות הנגרמות ממינון יתר. Blumenthal M (ed.). The Complete German Commission E Monographs. Integrative Medicine Communications, Boston, Mass., 1998. Namavar Jahromi B, Tartifizadeh A, Khabnadideh S. Int J Gynaecol Obstet. 2003;80(2):153–157. Türkyilmaz Z, Karabulut R, Sönmez K, Can Başaklar A. A striking and frequent cause of premature thelarche in children: Foeniculum vulgare. J Pediatr Surg. 2008 Nov;43(11):2109-11. De Smet PAGM, ed. Adverse Effects of Herbal Drugs, vol. 1. Berlin: Springer- Verlag; 1992. pp. 135–142. 8.Stager J, Wuthrich B, Johansson SG. Allergy. 1991;46(6):475–478. Fugh-Berman A. Nutr Today. 2002;37(3):122–124. Liu, Z., Lu, C., and Chen, J. [Correlation comparison of uterotrophic assay and E-SCREEN assay for estrogenic activities]. Wei Sheng Yan.Jiu. 2004;33(4):458-460. Javidnia, K., Dastgheib, L., Mohammadi, Samani S., and Nasiri, A. Antihirsutism activity of Fennel (fruits of Foeniculum vulgare) extract. A double-blind placebo controlled study. Phytomedicine. 2003;10(6-7):455-458. Shah AH, Qureshi S, Ageel AM. J Ethnopharmacol. 1991;34(2–3):167–172. Opdyke DLJ. Food Cosmet Toxicol. 1979;17:529. De Vincenzi M, Silano M, Maialetti F, Scazzocchio B. Constituents of aromatic plants: II. Estragole. Fitoterapia. 2000 Dec;71(6):725-9. Sangster SA, Caldwell J, Smith RL. Food Chem Toxicol. 1984;22:707–713. Caldwell J, Sutton JD. Food Chem Toxicol. 1988;26:87–91. Zeller A, Horst K, Rychlik M. Chem Res Toxicol. 2009;22(12):1929–1937. Raffo A, Nicoli S, Leclercq C. Food Chem Toxicol. 2011;49(2):370–375. 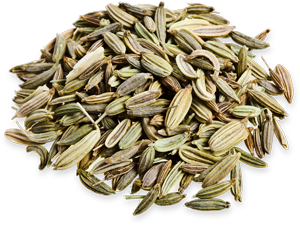 Gori L, Gallo E, Mascherini V, Mugelli A, Vannacci A, Firenzuoli F. Can estragole in fennel seed decoctions really be considered a danger for human health? A fennel safety update. Evid Based Complement Alternat Med. 2012;2012:860542. Epub 2012 Jul 29. Villarini M, Pagiotti R, Dominici L, Fatigoni C, Vannini S, Levorato S, Moretti M. Investigation of the cytotoxic, genotoxic, and apoptosis-inducing effects of estragole isolated from fennel (Foeniculum vulgare). J Nat Prod. 2014 Apr 25;77(4):773-8. Epub 2014 Mar 11.
van den Berg SJ, Alhusainy W, Restani P, Rietjens IM. Chemical analysis of estragole in fennel based teas and associated safety assessment using the Margin of Exposure (MOE) approach. Food Chem Toxicol. 2014 Mar;65:147-54. Epub 2013 Dec 30. Opdyke DL. Food Cosmet Toxicol. 1974;12:309. Subehan Usia T, Iwata H, et al. J Ethnopharmacol. 2006;105(3):449–455. Langhammer AJ, Nilsen OG. In vitro inhibition of human CYP1A2, CYP2D6, and CYP3A4 by six herbs commonly used in pregnancy. Phytother Res. 2014 Apr;28(4):603-10. Epub 2013 Jul 10. Langhammer AJ, Nilsen OG. Fennel and Raspberry Leaf as Possible Inhibitors of Acetaminophen Oxidation. Phytother Res. 2014 Jan 23. Subehan Zaidi SF, Kadota S, et al. J Agric Food Chem. 2007;55(25):10162–10167. Zhu M, Wong PY, Li RC. Effect of oral administration of fennel (Foeniculum vulgare) on ciprofloxacin absorption and disposition in the rat. J Pharm Pharmacol. 1999 Dec;51(12):1391-6. El Bardai, S., Lyoussi, B., Wibo, M., and Morel, N. Pharmacological evidence of hypotensive activity of Marrubium vulgare and Foeniculum vulgare in spontaneously hypertensive rat. Clin Exp.Hypertens. 2001;23(4):329-343. Tognolini, M., Ballabeni, V., Bertoni, S., Bruni, R., Impicciatore, M., and Barocelli, E. Protective effect of Foeniculum vulgare essential oil and anethole in an experimental model of thrombosis. Pharmacol.Res 2007;56(3):254-260. Yang ZY, Pei J, Liu RM, et al. Zhongguo Zhong Xi Yi Jie He Za Zhi. 2005;25(9):822–824. Ostad SN, Khakinegad B, Sabzevari O. Evaluation of the teratogenicity of fennel essential oil (FEO) on the rat embryo limb buds culture. Toxicol In Vitro. 2004 Oct;18(5):623-7. Alkofahi A, Al-Hamood MH, Elbetieha AM. Arch STD/HIV Res. 1996;10(3): 189–196. Dhar SK. Indian J Physiol Pharmacol. 1995;39:63–67.